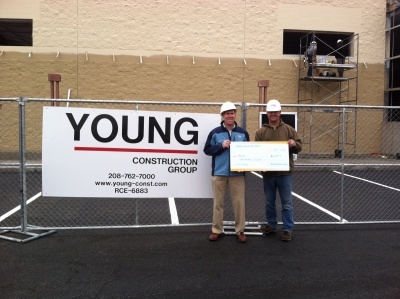 Young Construction | General contractor and construction manager in Coeur d'Alene, Idaho. 50,000 S.F. addition to the former Big R Store in Coeur d'Alene. 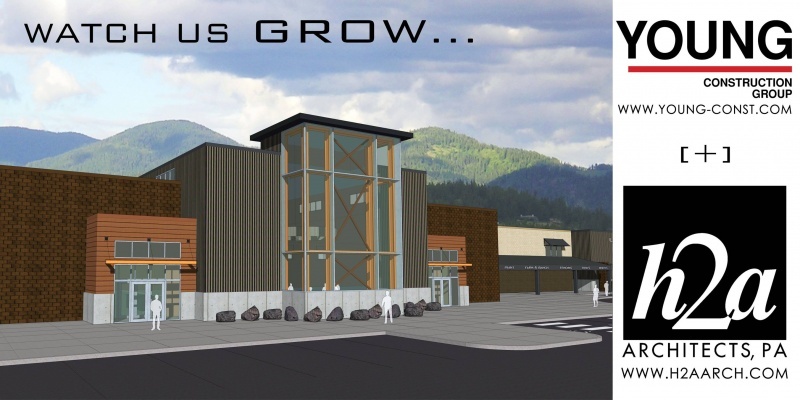 The new store, North 40 Outfitters will offer more merchandise, a bigger garden center, new fly shop, as well as a separate drive-through hay feed building for loading! Expected to be completed in the spring of 2015! 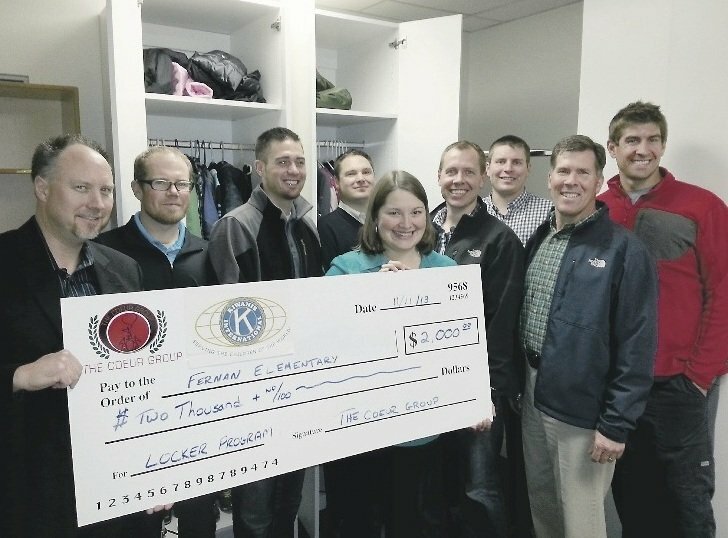 The Young Construction Group has donated $2,500 to the EXCEL Foundation which funds grants to teachers for innovative classroom projects that are not funded with ongoing school maintenance dollars. Funding is meant to improve the learning experience of students and encourage teachers with creative approaches to education. From left, John Young, Chris Shelton. The COUER Group and supporters gather to present Fernan Elementary School with a donation of $2,000 as part of their Locker Project to help stock the lockers with everything from clothing, to toiletries and school supplies. Last year Kiwanis had a grant for $5,000 which it gave to the COEUR Group for future locker projects and these funds are from that grant. 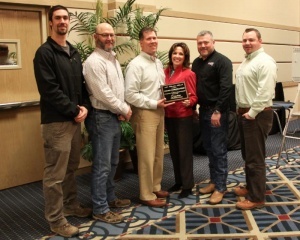 From left, Brent Lyles, Dusty Harris, Matt Hague, James McAndrew, Megan Franklin, Fernan School counselor, Matt Anderson, with Tapley Cabinet Works, who built the locker, Jessie Delavan, John Young, Young Construction Group, who purchased the naming rights and chose Fernan Elementary for the project and Kory Wilson. 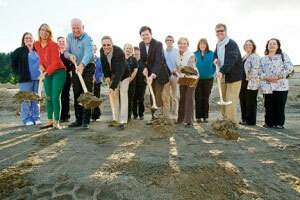 A ground-breaking was recently held on Industrial Loop in Coeur d'Alene for the new Production Facility and Fabrication Shop for Outotec Energy Products. The project consists of a 16,400 square foot single story pre-engineered metal building by Butler Manufacturing with 1,400 square feet of connected office space. The production facility includes two 25 ton bridge crane, one 5 ton bridge crane and two 5 ton jib cranes. 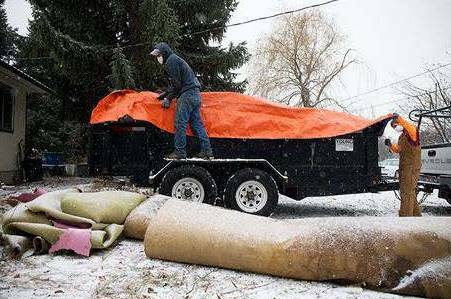 Young Construction Group of Idaho, Inc. was chosen as the design build contractor and has been involved from conceptual design and budgeting through the permitting and bid process. The project is well underway as of this posting with the steel structure being erected and site improvements being completed as well. The project is scheduled for completion before Christmas 2013. 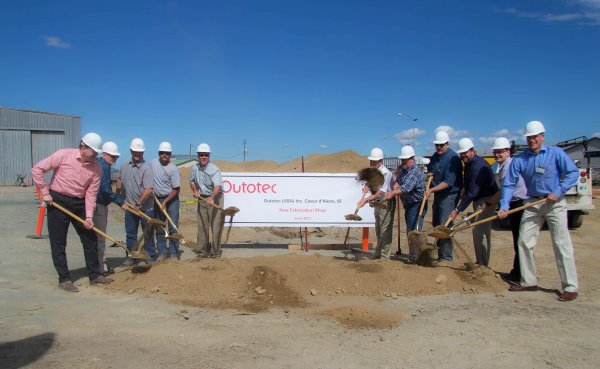 Young Construction Group is proud to be involved as a team member for this new facility and we look forward to a long and successful relationship with Outotec Energy Products. 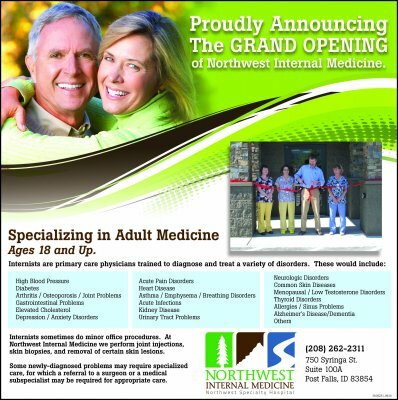 A ground-breaking was recently held in the Riverstone development for the new clinic/surgery center for Pain Management of North Idaho owned by Dr. Scott Magnuson. The single-level, 6,670-square-foot wood frame facility includes offices, clinic space, an ambulatory surgery center with two procedure rooms, recovery rooms and support spaces. The design is a combination of "northwest vernacular," using gable roof forms, stone masonry and heavy timbers along with modern flat roof accents at the four corners of the building incorporating cement board siding and steel sun control awnings to provide contrast. "This blend of traditional and contemporary aligns with the design guidelines for the Riverstone development, while making its own unique statement," said a press release.